Back for our second year, the Joslyn Castle welcomes our community to join us for an evening of fun on the historic 5.5 acre grounds! 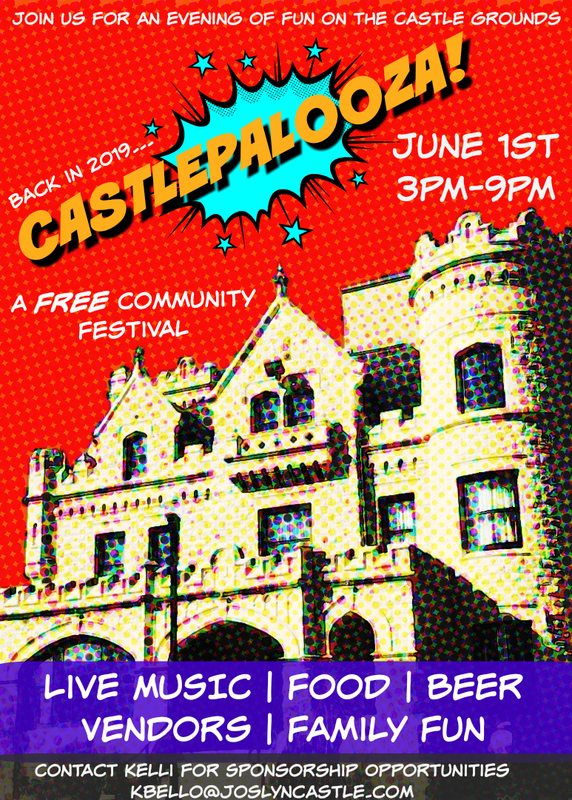 The Joslyn Castle is excited to welcome our community to Castlepalooza, a FREE neighborhood festival scheduled for June 1, 2019 on the grounds of the historic estate! Castlepalooza will feature live music, activities for families, yoga on the lawn, vendors, food trucks and beverages. We are looking to attract thousands of people to the Joslyn Castle estate for a fun evening on our historic grounds. In addition, we are encouraging our friends and neighbors to leave their cars at home and bike or walk to the Castle. Our partners at Mode Shift Omaha will be on-site with bike racks, a fix-it station, and information for bikers. Festivities will kick-off at 3pm and conclude at 9pm on Saturday, June 1st. Castlepalooza will be a celebration of over 115 years of the Joslyn Castle in Omaha. All proceeds benefit the Joslyn Castle, a 501(c)3 nonprofit. The Joslyn Castle preserves the legacy of George and Sarah Joslyn through stewardship of their historic home and by offering diverse cultural programming that informs and inspires the community.